Our HR Team experienced and professionally qualified HR practitioners with 60 years experience in Schools and Further/Higher Education. We currently support Multi Academy Trusts, Colleges of Further Education. At the heart of what we do is to become part of your team. HR services for schools is more than just legal advice, it is understanding your business and your staff. We aim to become a seamless part of your school on whatever basis you prefer. We are up front about our fees and with our all-inclusive package have no hidden charges or unexpected costs. We understand that there are times you just need a “bit of advice” and other times you need “help we have a problem, we need a solution”. If we understand you and your school we can provide you with a quality HR service that responds to your needs speedily and without long complicated explanations. We can even anticipate what you may need before you know you need it. You will have a named fully CIPD qualified HR practitioner working with you who will be your “on call” and “e mail contact” and the person who will site visit. If you are a group of schools either under a MAT or Federation this principle will continue on a school by school basis. Employee Policy Reviews, Revision, Updates and Development. Continual advice and support on legal developments relating to employees. Including unlimited site attendance at meetings, hearings and appeals. Support in planning, consulting and carrying out management of change. For example for a school and with up to 50 employees the full inclusive package will be £1475 per annum; for up to 100 employees just £2950 per annum. Further quotes can be obtained for larger schools and MATs. The Standard package supports you with a virtual HR dept. without buying services you don’t think you will need. Swift HR advice for your employment issues as they arise, so you don’t make what could be costly mistakes. 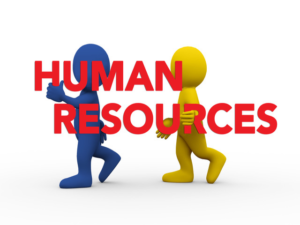 Telephone and email support on HR issues as they arise responded to in a maximum of 24 hours. Onsite casework visits: 12 hours of on-site visits per academic year. We will provide a policy and contract review and revision and if wanted an Employee handbook. On-going we will ensure your policies remain up to date and legal. Provide you with essential HR advice by telephone or e mail within 24 hours. Provide support with staff issues in the workplace, as much or as little as you need.